The Emperor clutches the handkerchief and laughs bitterly, telling the Dowager that it was he who told the dead concubine to sew him something. She didn’t know how, which is why the stitching on the handkerchief was so weird, not because she was a spy. The Dowager tells him that she needed to make sure that every possibility of treason was found, no matter the cost. It’s so sad that she is so suspicious of everyone and knows that one misstep, her power and her son’s power will be gone for good. 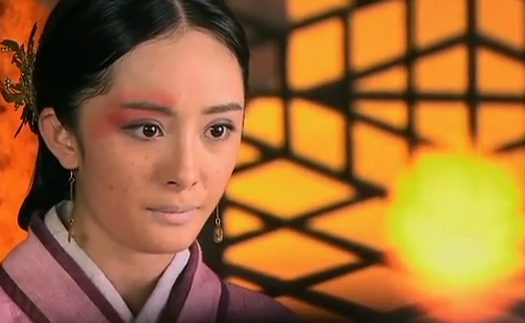 We then get introduced to Yang Mi’s character Xue Yuan, who works as an assassin for the Empress. Xue Yuan aunt is also the Dowager’s right hand woman. The Dowager tells Xue Yuan that she did well on the assassination, now it was time for her to turn back into her palace maid self and to spy on the Emperor, because the Dowager can’t control him. Shen Er is planning a surprise of her own. She bathes herself in perfumed water and the next time the Emperor comes, he finds her so attractive that he took her to his palace. 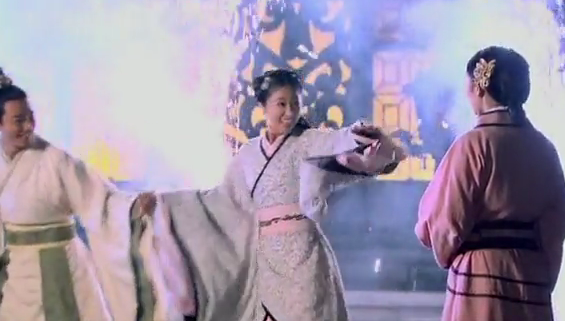 Yun Xi finds out and rushes to the Emperor’s palace, she gets Shen Er out of there fast. Shen Er, of course is pissed off to no end. 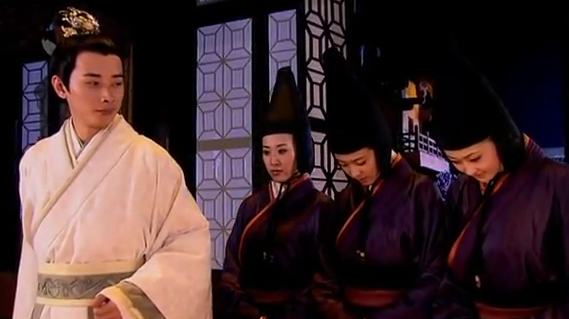 Yun Xi tells her that whoever gets near the Emperor now, is bound to disappear. The Dowager is hungry for a legitimate son by the little Empress, any maid, concubine that gets in the way will die. Shen Er doesn’t believe her until the Little Empress comes in and tells them of the strange disappearances of people who the Emperor visited. Yun Xi begs the little Empress to let Shen Er stay and serve her, the little Empress agrees. Shen Er and Yun Xi are walking one day, Shen Er apologizing for her behavior, when they see Xue Yuan being beaten by the Eunuchs. Shen Er tells Yun Xi that Xue Yuan’s nickname is Ugly and that everyone beats her. She warns Yun Xi not to care, or else bad feelings will be rubbed off on her too. 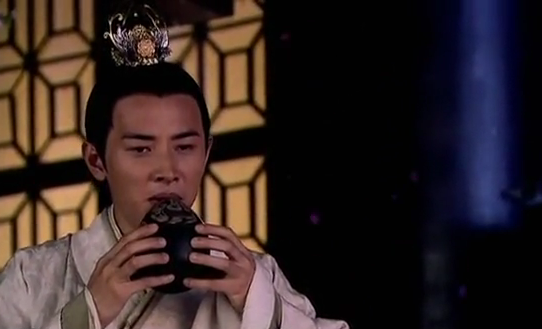 Yun Xi ignores the advice and goes to rescue Xue Yuan. The Emperor’s not having any of it. He doesn’t want to be a puppet, and brought his own entertainment. That night, Yun Xi is outside in the garden, dancing to the fall of the cherry blossoms, when the emperor comes and talks to her. They have this beautiful and sad connection. She dances and he plays the tune for her. However, the Dowager discovers that the Emperor, once again, has not been doing his “duty” and got another of his concubines pregnant. The Dowager is angry and orders that the concubine’s baby be aborted, but hitting her in the stomach. Yun Xi comes up with the idea of letting the concubine have the baby, and then saying that it was the Little Empress’s child. That way, the concubine and the child will be saved. The pretend pregnancy nearly drives the Little Empress insane with bordem. And the emperor comes to take her out, even though she looks huge. They play with fireworks, Yun Xi has invited Xue Yuan along and they have a great time. The problem is that the dowager hears about it, when she forced Xue Yuan to tell her what happened by threatening Xue Yuan’s aunt. Yun Xi is dragged to the Empress’s chambers late into the middle of the night and beaten for the fireworks display. The Dowager tells her that if anyone saw the Little Empress playing around like a girl who is not pregnant, the entire plan falls to pieces. She orders that all the servants who saw the display be killed, even when Yun Xi begs for them to be saved. Xue Yuan takes her out of the Dowagers presence and they head back to the Little Empress’s palace….